As negotiations continue between the European Union and the United States over the proposed Transatlantic Trade and Investment Partnership (TTIP), our analysis shows that opponents of the trade talks continue to dominate the news cycle. Meanwhile, the private sector needs to develop a compelling narrative that explains TTIP’s benefits. 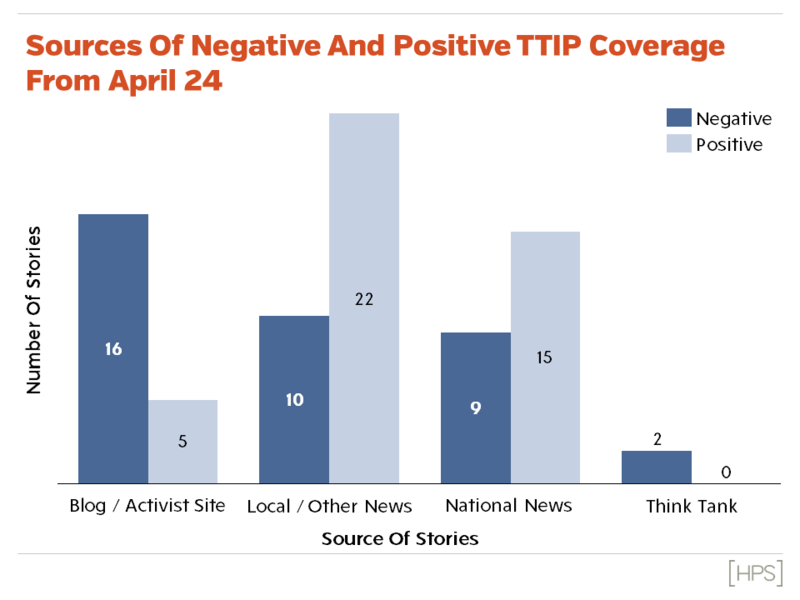 Our analysis shows that opponents’ self-published criticism of TTIP has an outsize impact on overall coverage. Without sustained similar efforts by the business community, singular events such as U.S. President Barack Obama’s public endorsement in Germany this week are not enough to cause a significant shift in the public debate over TTIP.